Eric Holder, please step down, go away and don't come back. Here's a list of the Top 10 scandals associated with Eric Holder, Attorney General of the United States, just because we need a reminder that the current scandal is not the only one. If you aren't familiar with the specific scandals, links have been included to details of each scandal. The question is, with 10 scandals associated with the Attorney General, why is he still in that role? (10) The Holy Land Foundation. (2009-2012) Never heard of it? Most people haven't but it has to do with the financing of terrorism. Members of the House Judiciary Committee on oversight on Thursday called on U.S. Attorney General to provide documents and evidence relating to the landmark Holy Land Foundation trial – the largest terrorism financing trial in U.S. history. The committee made a nearly identical request more than a year ago, however, the documents were never made available by Holder or his department, lawmakers say. 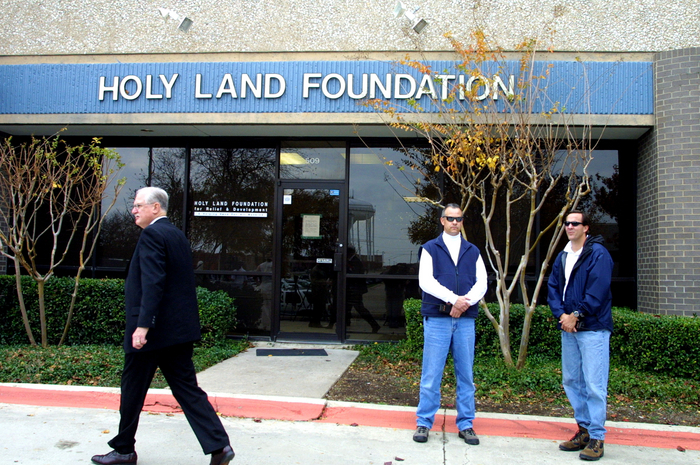 Following court proceedings, the Holy Land Foundation was found guilty of providing millions of dollars in funding to Hamas and other Islamic terrorist organizations in 2008. Named as “unindicted co-conspirators” in the trial were the Council on American-Islamic Relations (CAIR) and the Islamic Society of North America (ISNA). Both have documented ties to the radical Muslim Brotherhood…which then have ties to the Obama administration, but I digress. (9) Perjury (2013) Tied into other elements of the list, it appears Eric Holder, Attorney General of the United States, lied in testimony. There's nothing wrong with that if you are a Democrat; Bill Clinton set the standard. ...The problem for Holder is that we now know he personally signed off on the order to get a subpoena for Fox News’ James Rosen’s phone records. The entire basis of the warrant for those records relies on Rosen being a potential conspirator and therefore potentially prosecuted. ...I’m sure Holder and his allies will say that they never intended to prosecute Rosen, but that’s 1) not the point and 2) even worse. If that’s their defense, they knowingly lied to the judge who would, hopefully, reject the request if they admitted it was just a fishing expedition for information. (8) Contempt of Congress (2012) Note to Mr. Holder - you are the Attorney General. You are not supposed to perjure yourself or get yourself held in contempt of Congress. Again, related to another scandal in this list (proving that when Holder gets in trouble, he lies), Eric Holder demonstrates he clearly does not respect Congress. 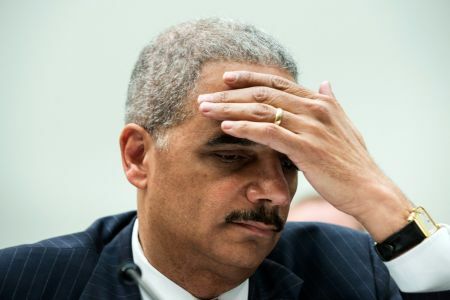 The House has voted to hold Attorney General Eric Holder in contempt of Congress over his failure to turn over documents related to the Fast and Furious scandal, the first time Congress has taken such a dramatic move against a sitting Cabinet official. The vote was 255-67, with 17 Democrats voting in support of a criminal contempt resolution, which authorizes Republicans leaders to seek criminal charges against Holder. This Democratic support came despite a round of behind-the-scenes lobbying by senior White House and Justice officials - as well as pressure from party leaders - to support Holder. Two Republicans, Reps. Steve LaTourette (Ohio) Scott Rigell (Va.), voted against the contempt resolution. Another civil contempt resolution, giving the green light for the House Oversight and Government Reform Committee to sue the Justice Department to get the Fast and Furious documents, passed by a 258-95 margin. 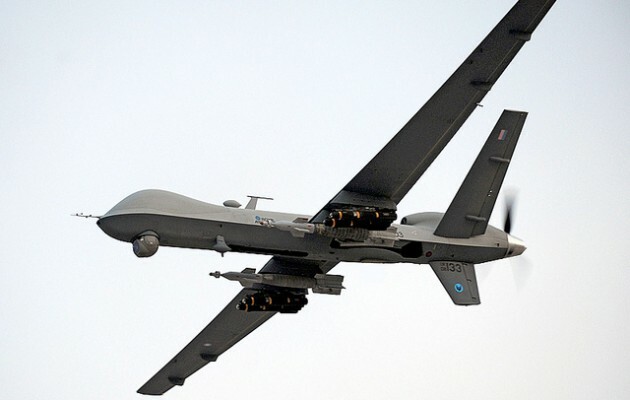 (7) Drone Strikes (2009-2013) Holder believes that it's okay to drone strike American citizens. I understand the need to get terrorists. But for an Attorney General to not care about the rights of actual citizens while being concerned about giving civilian trials to terrorists (yes, another scandal in this list) just seems like severely misplaced priorities. Holder literally believes the U.S. government has the right to assassinate anyone, including U.S. citizens, without ever having to explain to anyone why they did it. As Obama continues to add names to his "kill list," Holder remains his most stalwart defender. According to Justice Department memos, the President (and any president that comes after him) can kill you just because he decides it would be a good idea. ...Senator Chuck Grassley, a Republican, asked for more information on why federal and state authorities chose not to indict HSBC after it acknowledged laundering money for Mexican drug cartels, helping rogue states avoid international sanctions and working closely with Saudi Arabian banks linked to terrorist organizations. 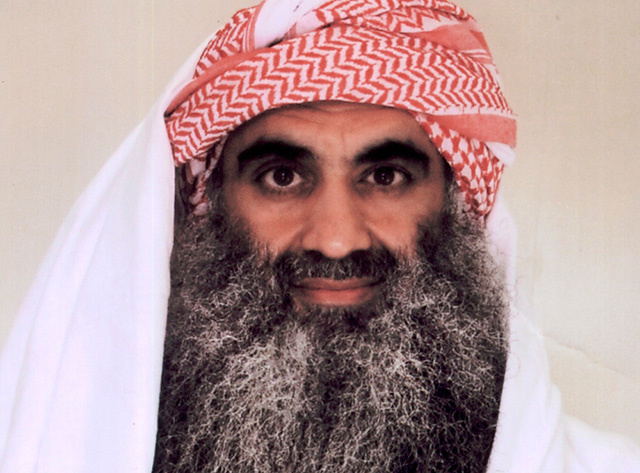 (5) Civilian Trials for Terrorists Remember when Eric Holder was all for trying terrorist Khalid Sheikh Mohammed and the four other al Qaeda planners of 9/11 in a civilian trial in New York? Attorney General Eric Holder, who dropped this legal bomb on New York yesterday, called his decision to move their trial on war crimes from a military courtroom at Guantanamo Bay to American soil "the toughest" he has had to make. Other words come to mind. For starters, intellectually and morally confused, dangerous and political to a fault. This decision befits President Obama's rushed and misguided announcement on his second day in office that he would close Gitmo within a year. This was before the Administration had thought through what to do with the 215 prisoners there, though it did win him applause in Europe and on the American left. Yesterday's decision rids Gitmo of these meddlesome detainee cases in order to speed up this entirely political shutdown. Thankfully it ended up not happening, but it was certainly scandalous at the time of the announcement. Holder ended up backing down. 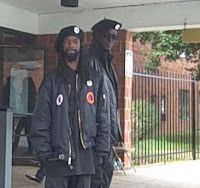 A former Justice Department attorney who quit his job to protest the Obama administration’s handling of the New Black Panther Party voter intimidation case is accusing Attorney General Eric Holder of dropping the charges for racially motivated reasons. J. Christian Adams, now an attorney in Virginia and a conservative blogger for Pajamas Media, says he and the other Justice Department lawyers working on the case were ordered to dismiss it. “I mean we were told, ‘Drop the charges against the New Black Panther Party,’” Adams told Fox News, adding that political appointees Loretta King, acting head of the civil rights division, and Steve Rosenbaum, an attorney with the division since 2003, ordered the dismissal. Given all that we as a nation went through during the civil rights struggle it is hard for me to accept that the result of those efforts was to create an America that is more prosperous, more positively race conscious and yet is voluntarily socially segregated. Holder’s contradictory ideas—celebrating “positive” race consciousness while decrying continued segregation—are a tempered though familiar version of Bell’s radical idea that the civil rights movement had, in many ways, entrenched white supremacy in America. (2) Fast and Furious Since people died as a result of this horribly bad idea, arguably it should be the number one Eric Holder scandal. 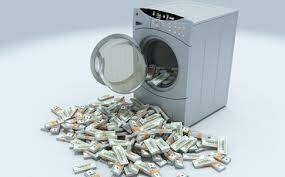 This is Eric Holder's Benghazi - it resulted in American deaths (not to mention numerous Mexican deaths). The "Fast & Furious" investigation was catalyzed on December 14, 2010, when U.S. Border Patrol Agent Brian Terry was killed in a shootout with Mexican cartel members in a remote Arizona canyon. The bullet that killed Terry came from a gun that was part of the multi-agency government operation called "Fast & Furious." In addition to Terry, hundreds of U.S. and Mexican citizens have been killed by cartel members wielding one of the more than 2,000 weapons paid for by government funds and sent to Mexico during the 2009-2011 "Fast & Furious" operation. ...Brian Terry died in December 2010, fatally wounded by a gun that was purchased by an ATF-semi-supervised "Fast & Furious" gun runner in January 2010, with money the FBI gave him in November 2009. None of those events could have been authorized by Mike Mukasey, the last Attorney General under George W. Bush; both left office January 20, 2009. 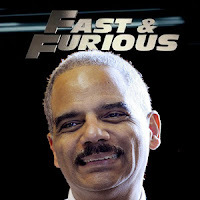 "Fast & Furious" is all about Eric Holder, who was Attorney General during all three of the Terry-related events, and who has denied knowledge just as Nixon's campaign chair and Attorney General John Mitchell did about Watergate from 1972 to the end of his life. Eric Holder really could be Obama's version of John Mitchell, who went from war hero and "Top Cop" to felon in disgrace. (1) Press prosecution (AP, and Fox) After going after AP for phone records, the scandal that could take down Eric Holder expanded to a focus on a Fox News reporter. Who knows how much deeper it goes. 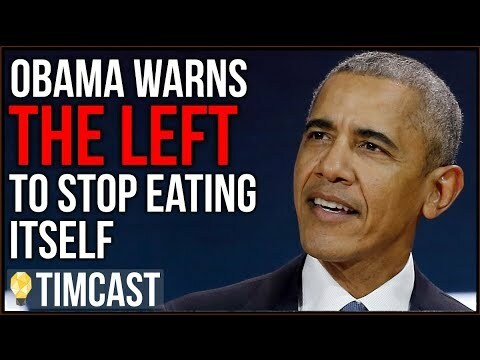 But because this scandal has grown to the point where even many liberals are calling for his resignation and it might result in him losing his job, this will eventually rank as Eric Holder's biggest scandal. 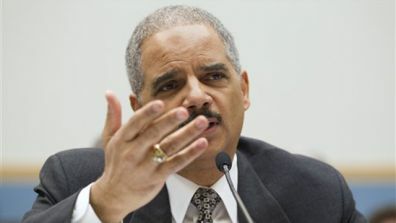 Maybe it’s time for the president to have a heart-to-heart with his attorney general, Eric Holder. NBC News is reporting that Mr. Holder “signed off on a controversial search warrant that identified Fox News reporter James Rosen as a ‘possible co-conspirator’ in violations of the Espionage Act and authorized seizure of his private emails,” per NBC conversations with a law enforcement official. In the case of the government’s subpoena for the phone records of as many as 100 Associated Press editors and writers, Mr Holder left the decision for a deputy to make after he recused himself. But if NBC News is right, then the attorney general himself green-lighted the FBI to seek a subpoena for Mr. Rosen’s private emails in the spring of 2010. 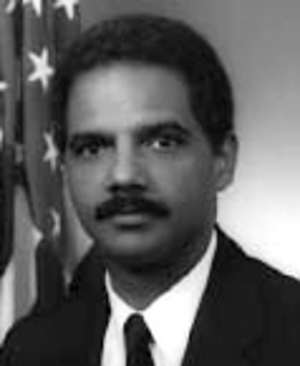 With so many scandals, averaging about 2 per year so far, Eric Holder is not up to the job as Attorney General. Not only does he need to resign, he needs to be prosecuted himself for some of these.